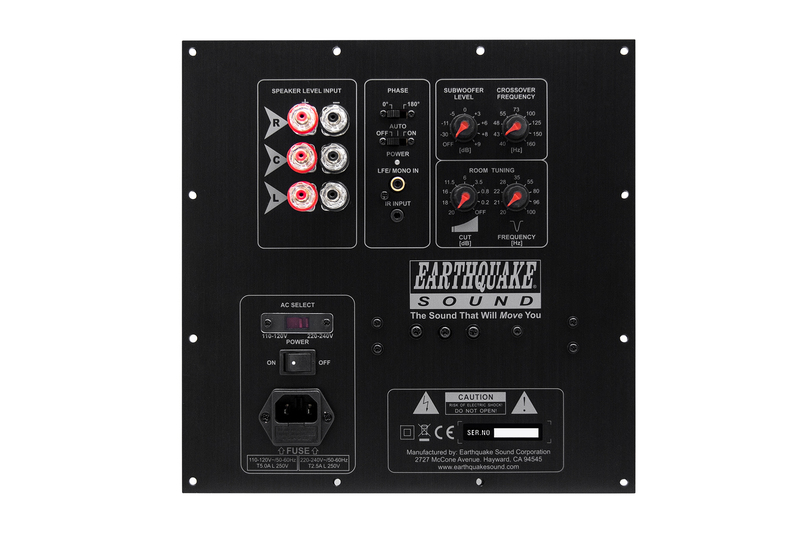 The BA-550 from Earthquake is the ideal plate amp when both high power and advanced features are needed. The BA-550 is placed between our powerful no-nonsense EQ-1000 and the exotic IQ-600/1500 amplifiers. BA-550 offers enhanced control features like selectable frequency boost. With 600 watts into 4 ohm, airtight design for direct mounting in the subwoofer and remote control the BA-550 is hard to beat. BA-550 is designed, developed and rationally produced at Earthquakes own factory. This ensures high performance, overbuilt construction and a fair price. Here, quality is not gobbled up by 10 middlemen. Like the high-end IQ plate amps the BA-550 is equipped with an oversized separate transformer. The separate design reduces the mounting depth thus allowing even smaller subs to be built. The transformer is easily installed in a corner of the cabinet where there is extra space. The transformer is a rigid silicon-steel hard-wound 750VA low regulation toroidal transformer. The large and heavy transformer ensures a stable supply without voltage drop even under heavy load. The amplifier is built around Earthquakes Evolved Class D amplifier technology. It uses an efficient and low frequency optimized PWM switching output - resulting in exceptional powerful control over even large and heavy woofers. The amplifier is equipped with 6 high ampere discrete transistors for high and continuous current. No cheap monolith output modules here. The BA-550 amplifier comes with IR eye and remote control making volume easy to adjust while the subwoofer is playing, wherever it is located.